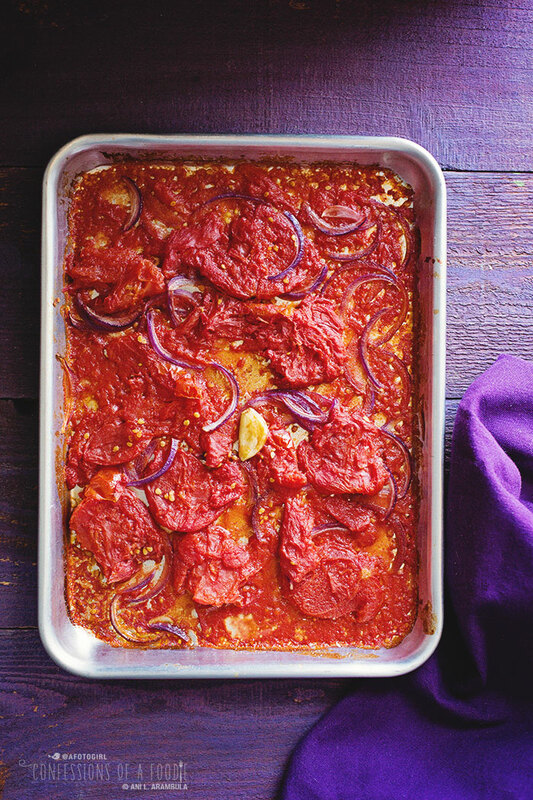 How to make homemade pizza sauce using canned tomatoes. Some of my fondest childhood memories involve birthdays with trays of homemade lasagna or bowls of spaghetti and meatballs that Dad, famous for his talent in Italian cooking, spent days making for us. Family gatherings (we're talking sometimes upwards of 15 people at some celebrations!) and Italian food was always such a treat! 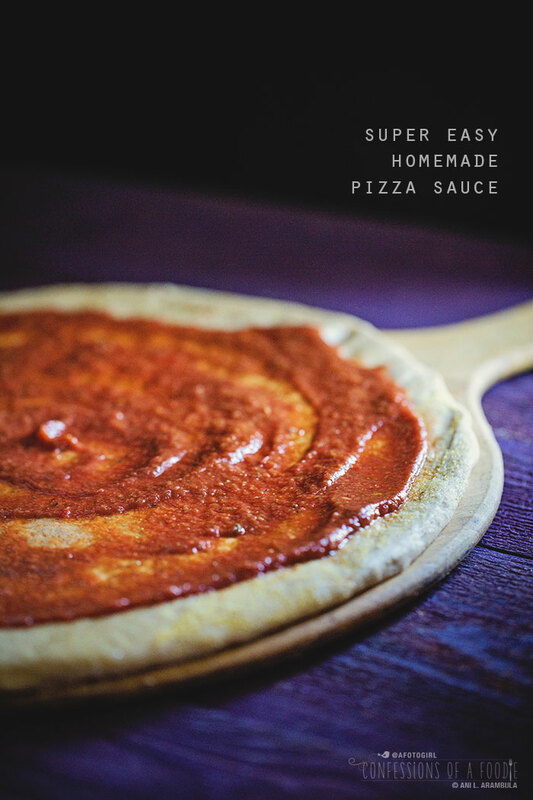 I remember surprise pizza nights on some Saturday evenings with dad making his pizza sauce from scratch, sometimes the dough, as well. Often though, he'd have ready to shape and bake pizza dough in the freezer for these "I'm in the mood for pizza" kind of evenings. He used to make, what he called, pepperoni pizza rolls which were among our favorite of his creations. Making his sauce from scratch, he'd slather it on a big ol' slab of dough, pile on the pepperoni slices and tons of shredded mozzarella, then tightly roll it up, jellyroll-like, and bake it. We were chomping at the bit waiting for it to come out of the oven only to have to wait for it too cool down for what felt like an eternity before dad would slice it for us, revealing the perfect pinwheel of pizza goodness. Those pizza nights, besides just the pleasure of watching my dad totally in his element and in complete command of the kitchen, were special in part because of the care he took in creating the various elements. We'd all crowd around the center island, slices of pizza or pinwheel pizza in hand, eating with joyful abandon. Such happy food memories! As I've stated before, these days I'm not buying a whole lotta jarred condiments like I did in the past, mostly due to their high sugar content. Since my brush with Type 2 diabetes, I've become an avid label reader. Do you know what I found when it comes to canned tomatoes? A lot of food manufactures unnecessarily put sugar in them (coincidentally, the cheaper the product, the more sugar). 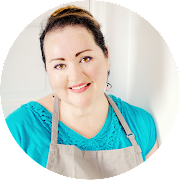 From whole peeled tomatoes to diced to sauce and purees: sugar is almost always the second or third ingredient. Ack! And we wonder why we are a nation of sugar addicts!? I'm going to call out a particular brand here because if you're trying to avoid added white sugar upon added white sugar like I am, you'll want to know this: most of Hunt's brand tomato sauces, diced and whole tomato products do not have sugar listed in the ingredients at all. Yay Hunt's! Just be sure to read your labels and choice wisely whether or not your sugar sensitive. So, why am I talking about canned tomatoes? 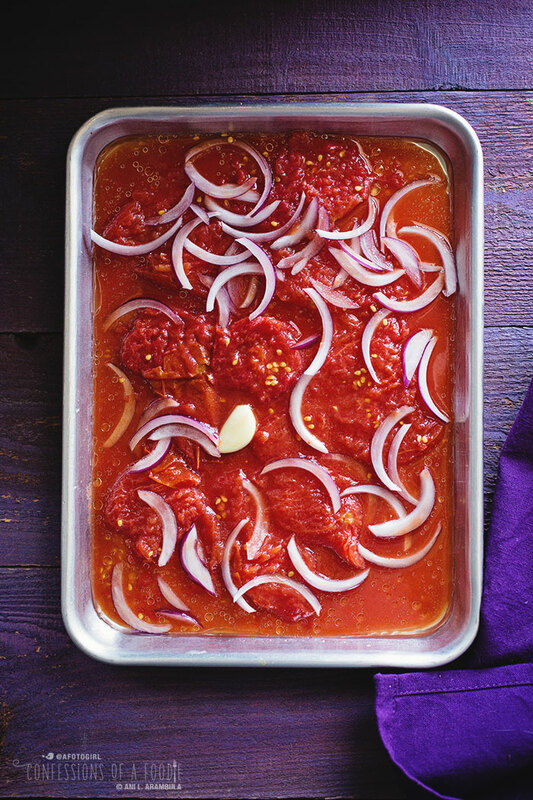 Because to make this easy recipe full of robust flavor, we're using canned whole tomatoes that are roasted in their juices with some red onions and a clove of garlic until the tomatoes just start to caramelize around the edges of the pan – oh the smells that fill the kitchen while this magic is happening! Blend this with tomato sauce and lots of fresh herbs and you've got yourself a sauce that is just as yummy slathered on dough (or cauliflower pizza crust!) as it is on meatballs, pasta or even as a topping on scrambled eggs. Delish! This recipe makes one pint of sauce. You'll most likely only be using about a third of it for a 12-inch pizza. Easily freeze leftovers by pouring the sauce into ice cube trays and freezing for 3 hours or until set. Then remove them from the trays, place them into a resealable freezer bag and return to freezer. To use, grab as many cubes as you need, pop them in the microwave at 15-second intervals until they're defrosted and use in your favorite recipes. Also, I tend to under salt on purpose. When you make your pizza, keep in mind that pepperoni and cheese will add more salt to the overall dish. If you wind up not using salty cheeses or meats, just sprinkle salt and pepper over the pizza to taste rather than over salt the sauce at this stage. Pre-heat oven to 400 degrees Fahrenheit. Brush a 9 in. x 13 in. rimmed baking sheet with olive oil. Pour in the whole peeled tomatoes along with the juice from the can. Using a fork, gently squash the tomatoes so more surface area comes into contact with the pan. Add the garlic and onions to the pan then roast for 25 minutes, turning the pan halfway through cook time. Remove pan from oven; cool for 5 minutes. Add the water to the jar of a blender followed by the tomato sauce. Carefully pour in the roasted tomato mixture. Toss in the salt, pepper, herbs, stevia and lemon juice. 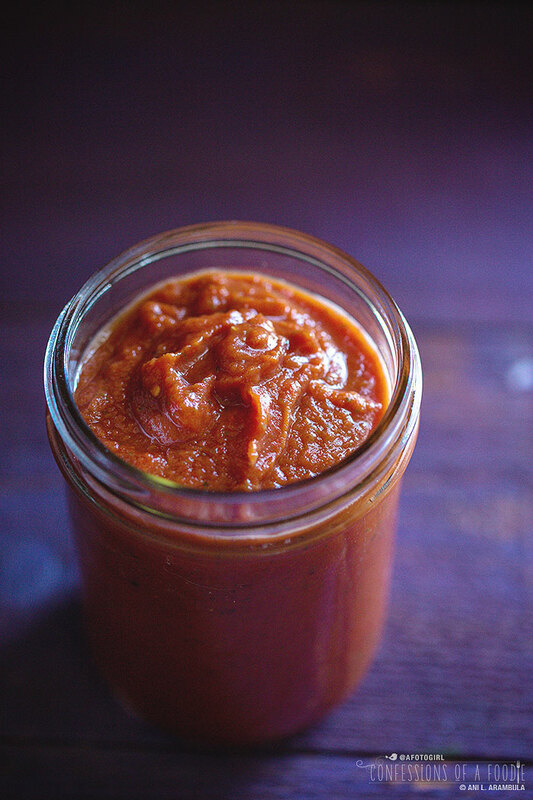 Run the blender on high until the sauce is smooth, adjusting seasonings to taste. Use immediately or freeze according to directions in headnote. I cannot wait to try this - we are a low sodium family and I think your Dad's recipe looks wonderful.